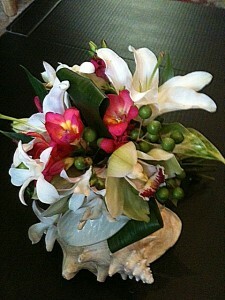 The tropical flowers at island Home and Garden are perfect for a beach wedding on the Santa Cruz coast. Whether it is a ceremony on the beach, or a cruise on The Chardonnay, let us take care of the flowers according to your wishes. 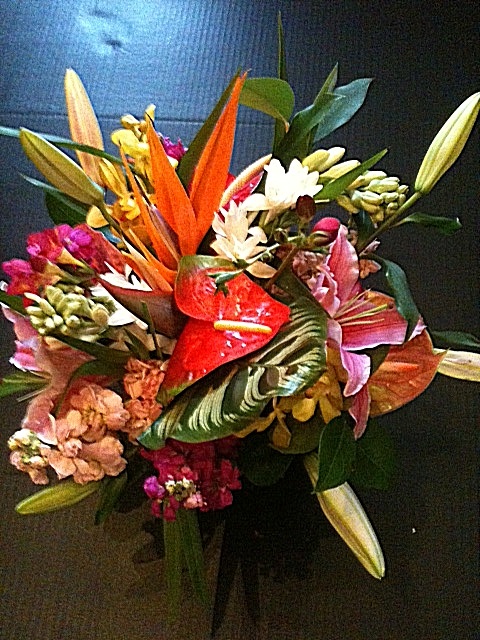 Bouquets, leis, boutonnieres, corsages, head wreaths, etc – they can all enhance a tropical atmosphere with our colorful orchids, anthuriums, and other flowers from Hawaii!